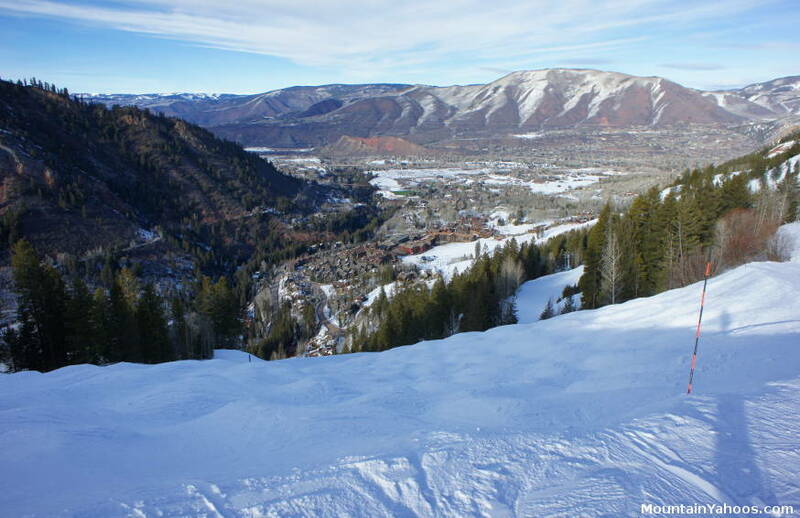 Aspen Highlands is one of four Aspen area resorts (the other are Aspen Mountain, Snowmass and Buttermilk). 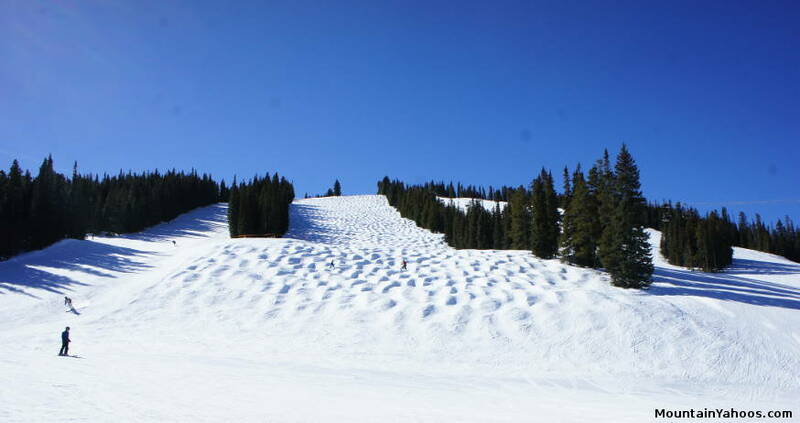 Aspen Highlands provides a variety of terrain but for the advanced skier and boarder, its glades, steeps and the signature advanced terrain of the Highland bowl are some of the discriminators which motivate people to ski here. 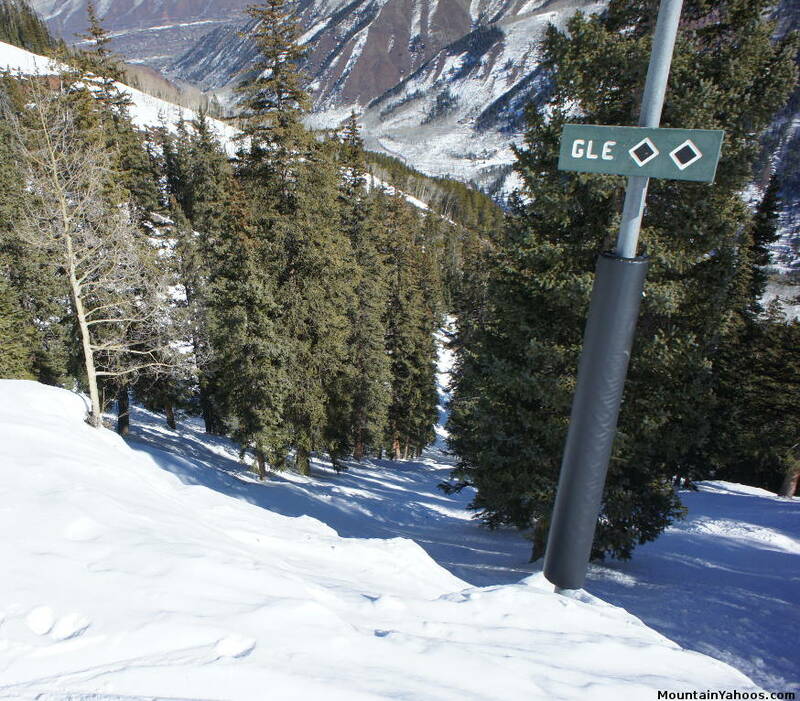 Access to Highland Bowl requires a ride in a snowcat (free) and a hike to the peak. Most of the mountain trails are not structured in an obvious layout and the curious can find themselves spending the day exploring the mountain. 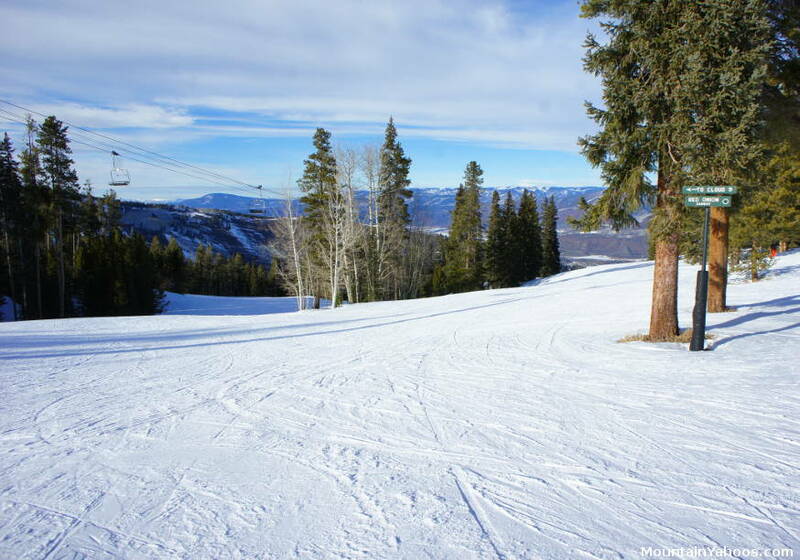 As with many resorts, the mountain layout provides the beginner "green" runs and intermediate "blue" runs at the lower elevations on the mountain with the majority of advanced runs at the higher elevations. 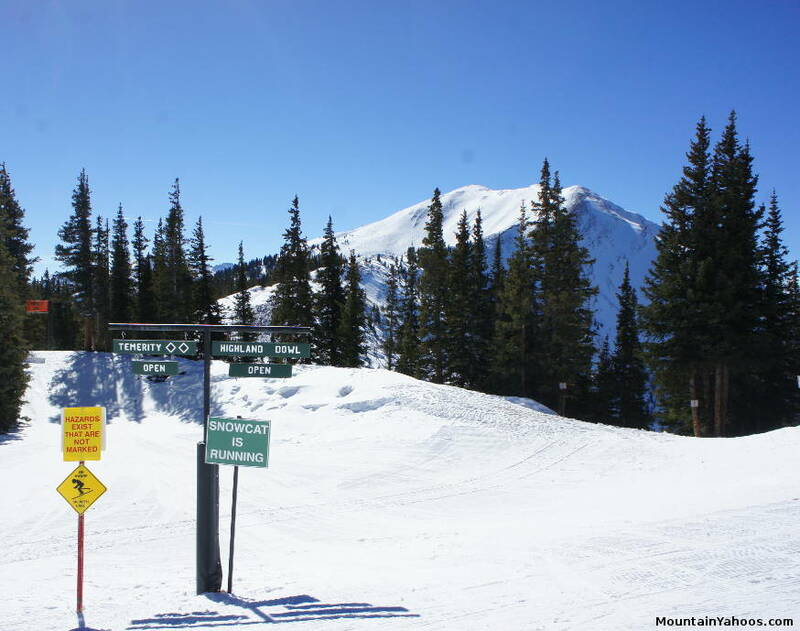 Highland Bowl requires a hike of 717 vertical feet to its peak of 12,392 ft and has some of the steepest grades on the mountain (over 40 degrees). The easiest trails can be found from the Exhibition Lift. If you want to restrict yourself to green runs, be sure to restrict yourself to this lift. Green Run: "Red Onion", easy, groomed, wide and flat. The majority of blue runs are accessible from the Cloud Nine Lift. Intermediate skiers may find themselves skiing this lift most of the day. There are a few "blues" accessible from Exhibition and Loge Peak lift as well. 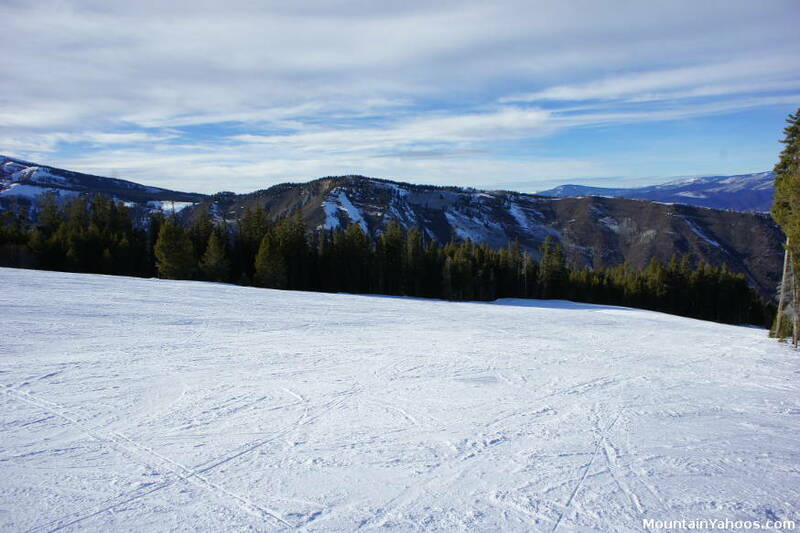 The advanced skier will want to explore the upper terrain off of Deep Temerity and Loge Peak lifts as well as to allocate enough time for a hike to Highland Bowl. Peak of Loge lift will give you access to "Temerity" and Highland Bowl (background). 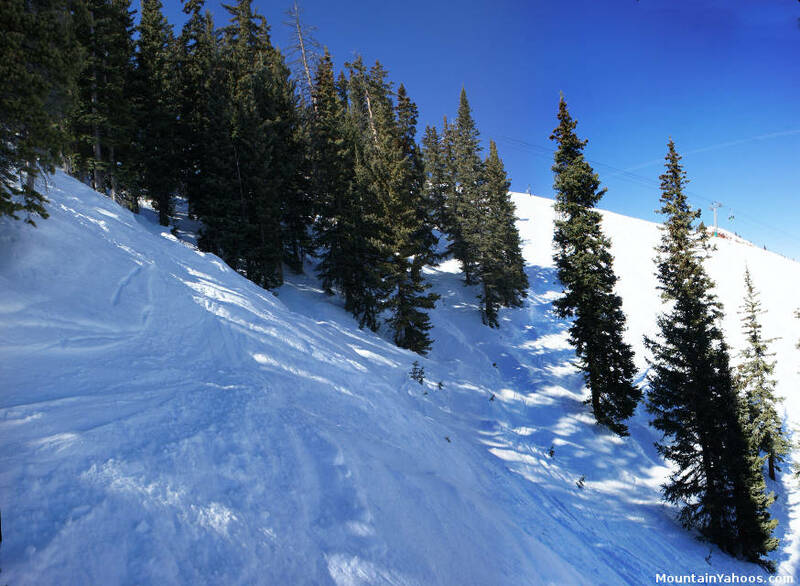 Aspen Highlands has a plethora of generously spaced tree runs and trails not labeled on the trail map but marked as trails on the mountain. You must explore the mountain to find these gems. Most of the prime advanced tree runs can be found off of the top of the Deep Temerity lift or Loge Peak lift. 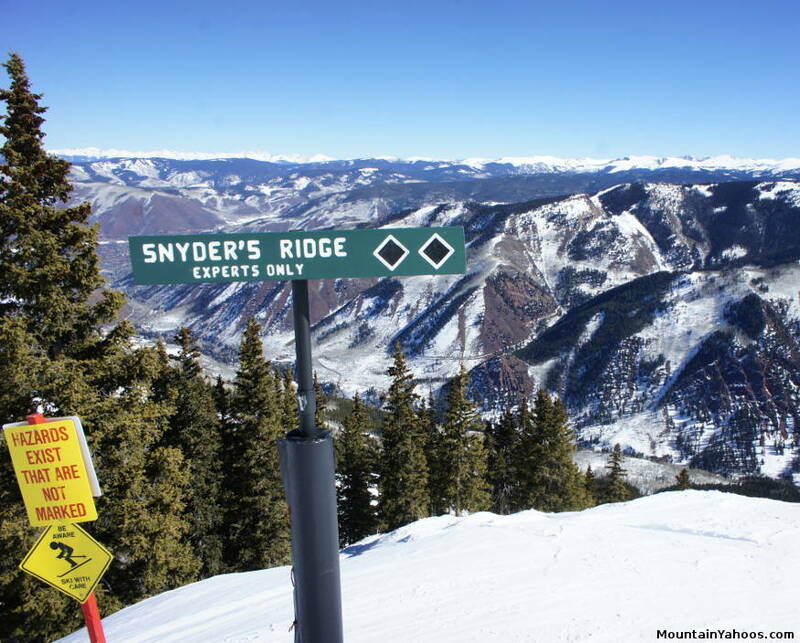 For example, I found "Snyder's Ridge", a double black run which takes you on a journey of moguls to trees and gullys. Other tree run gems include "Temerity" accessible from the top of Deep Temerity lift by the snowcat pick-up area. It is not skied much and is often a fresh powder stash. Advanced skiers and steep runs are the formula to mogul runs. They are everywhere. Many are not marked on the trail map. You just have to explore the mountain and discover them. 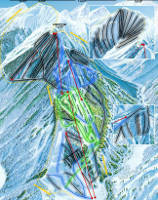 Blue Run: "Scarlett's Run" is a blue mogul run with groomed blue run options on either side. 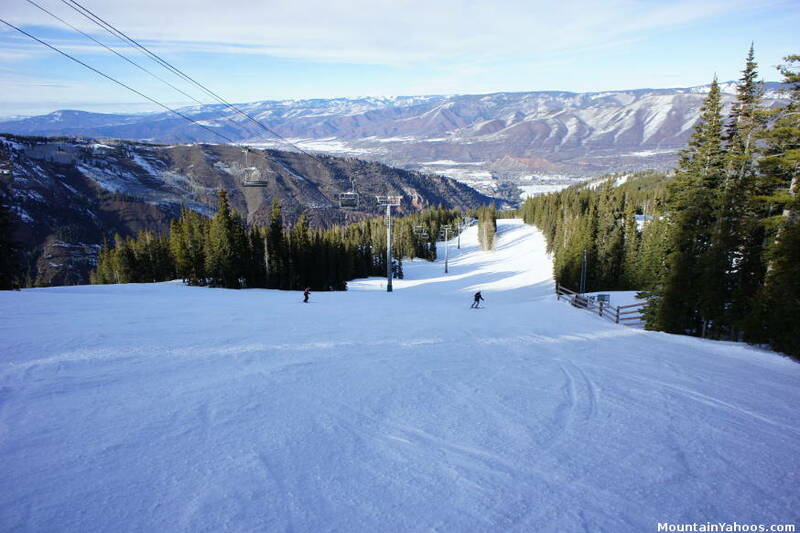 This is a nice training ground for the black diamond and double black diamond mogul runs. One of the many mogul runs not marked on the trail map. 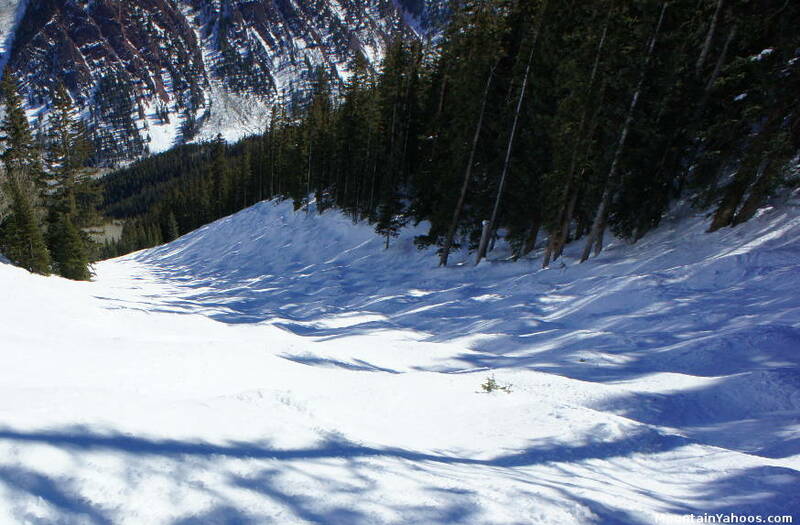 There are a number of guided lift-served back-country descents offered by Aspen Expeditions. None. 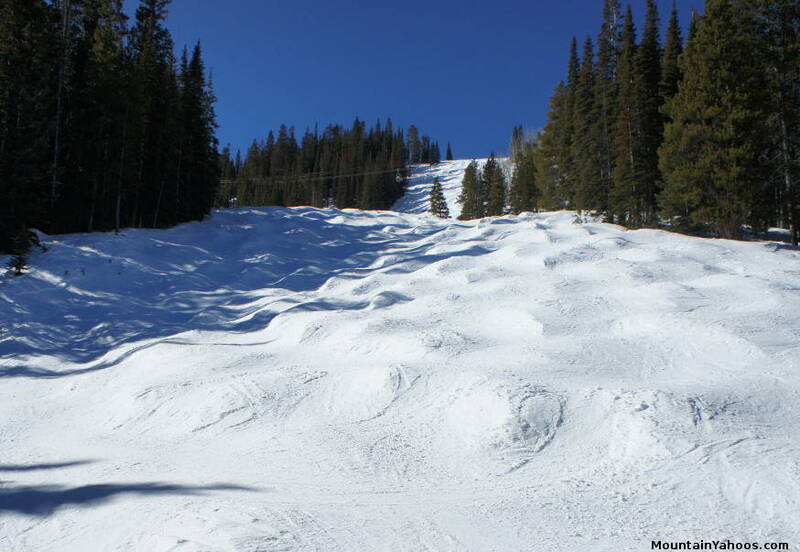 Head to Aspen's Buttermilk resort for the terrain parks used in the X-Games! The village at the base of the mountain can take care of most of your skiing and snowboarding needs. Equipment sports shops, a boot tech shop, expedition guides, art shops, restaurants and even a post office can be found in the mountain base village. 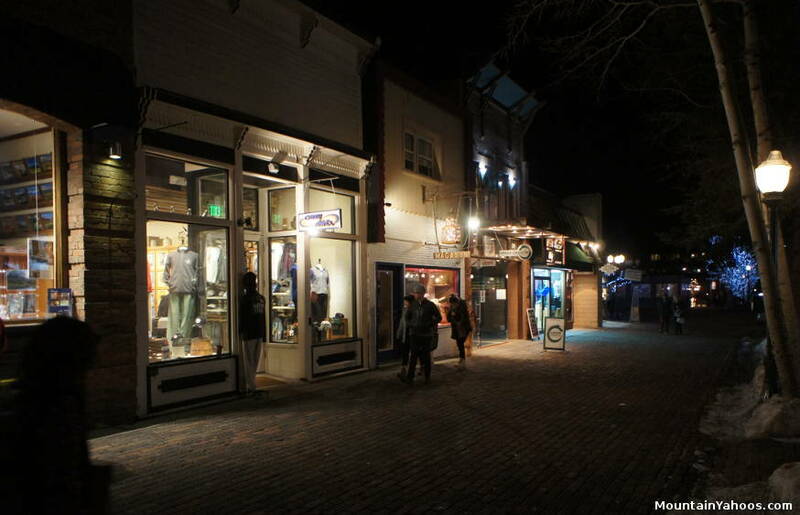 The town of Aspen can of course offer you more shopping, dining and service options.